"Karishma's talk was really inspiring and enlightening. 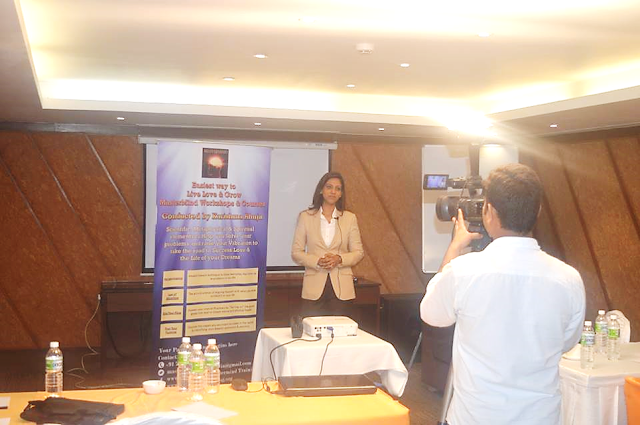 Thank you so much"
"It was a great experience to learn Goal setting from Karishma Ahuja maam, I also learnt powerful ways to Visualize and practice law of Forgiveness"
"An Awesome experience, the Seminar was very inspiring"
"Karishma's sessions are very practical, Full of examples to understand and apply the principles. Overall an excellent Talk"